Congratulation on your engagement, and thank you for visiting my website. This is such an exciting time, and I want your wedding to reflect your personality and style. 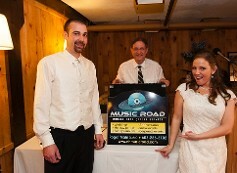 For the last 18 years, I have been an event DJ in Tilton, NH, where I host, provide music, and entertain at weddings. This has given me the ability to read the audience and adjust the program and volume to their tastes. There will be no in your face event DJ here. My level of interactivity is based solely on you and your finance preference. I understand that the focus for the celebration is on you and your fiance. But I will also discreetly work your guests to achieve the best energy for the room. In other words, keep the dance floor full. Yes, I do still take request. While I love music, and what I do. One of my greatest enjoyment comes from the relationships I build with couples when we discuss the details they would like at the wedding. We will work together to create a timeline. Also a playlist of songs you, and your fiance want to hear during the reception. I will also work closely with the Function Coordinator, Catering Service, and Photographer to make sure everything goes smoothly. I have thousands of songs to choose from. 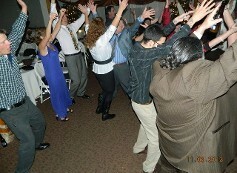 I offer Pop, Country, Jazz, 50's & 60's Contemporary, Modern and much more. 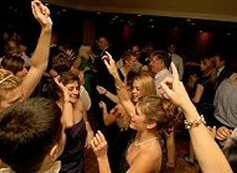 I can provide music for cocktail hour, dinner music, and dancing for the reception. If you like, I can also provide music for the ceremony. (Optional). I have a state-of-the-art sound system and also carry a back up. I utilize a I-Pod, laptop and backup cd's. To view videos from previous clients, please click on My Wedding Wire, My YouTube and My Facebook.